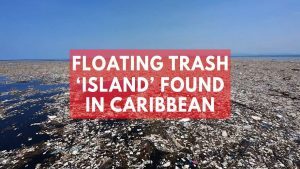 Click the image below or visit BBC News to witness a huge mass of plastic bottles, cutlery and polystyrene plates that has been found floating in the Caribbean. Human impacts on the way our planet functions have now become so extreme many scientists are claiming the Earth has shifted out of the Holocene state and into a new geological epoch. They’re calling it ‘The Anthropocene’, the new age of humans, because millions of years after we are gone, the scar of our existence will be visible in the rocks of tomorrow. In this episode we look at how the last 60 years of socio economic growth has transformed the human race into a geological force to rival nature. This must-see video reveals what is at risk with Canada’s Northern Gateway Tar Sands Pipeline. For full article click here.